The X Games may get the ESPN coverage and the gigantic crowds, but if you ask the competitors at this weekend’s U.S. Grand Prix at Park City Mountain Resort, the Grand Prix events are just as difficult to win. On Saturday at noon, the snowboarders will take their turn in the Eagle Superpipe for the men’s and women’s three-run finals, wrapping up this year’s event. Olympic gold medalist Kelly Clark said fans can expect top-level competition between the riders on Saturday. "I think a lot of people are quick to say the Grand Prix isn’t on the same level as X Games," she said. "But when you look at the field of riders, every rider at the X Games is here, too. There’s a different look and feel in the media, but as a competitor, the competition level is the same." Saturday will end a long stretch of contests for many riders. Two weekends ago, Mammoth, California, hosted a Grand Prix. Then, last weekend, the athletes went to Aspen for X Games. Despite the grueling travel and competition schedule, Clark said she feels like she’s in a nice rhythm. "The last few weeks have actually been the best practice we’ve had all season," she said. "The back-to-back-to-back contests have been good practice because we’ve been getting a lot of runs in." For Saturday’s finals in Park City, Clark qualified fourth, meaning she’ll be the third rider to go in the women’s competition. After winning an Olympic gold medal in Park City’s superpipe in 2002, Clark said she’s always excited for the opportunity to return for an event. "It definitely is a special place to me," she said. "I’ve been here over the years with the U.S. team at countless events. I have amazing memories and it was an incredible privilege to represent the U.S. [in 2002]." Clark will square off against three other Americans in the six-person finals Saturday — Chloe Kim, Arielle Gold and Maddie Mastro. Kim has defeated Clark in each of the last two X Games competitions and now, at age 15, she’s old enough to compete in the Grand Prix. Clark defeated Kim at the X Games in 2014, but she said she doesn’t think of herself as having a rivalry with the young star. "Chloe is an amazing snowboarder," she said. "In my competitive approach, I don’t approach things as a rivalry. I don’t think that’s part of our sport. I think all the girls, from Arielle to Chloe to Maddie Mastro, we’re inspired by one another and pushed by one another." With that in mind, Clark said she’ll focus on what she needs to do to win on Saturday and won’t be affected by what her competitors are doing. "I’m going out to try to land the run I want to land, regardless of what other people are doing. That’s been my approach since day one and that’s why I’m still out here." On the men’s side, Americans had a great day during Thursday’s qualifiers, landing the top four spots in the 10-person final. Greg Bretz qualified first and will drop into the pipe 10th on Saturday. Matthew Ladley was second, Jake Pates was third and Brett Esser was fourth. 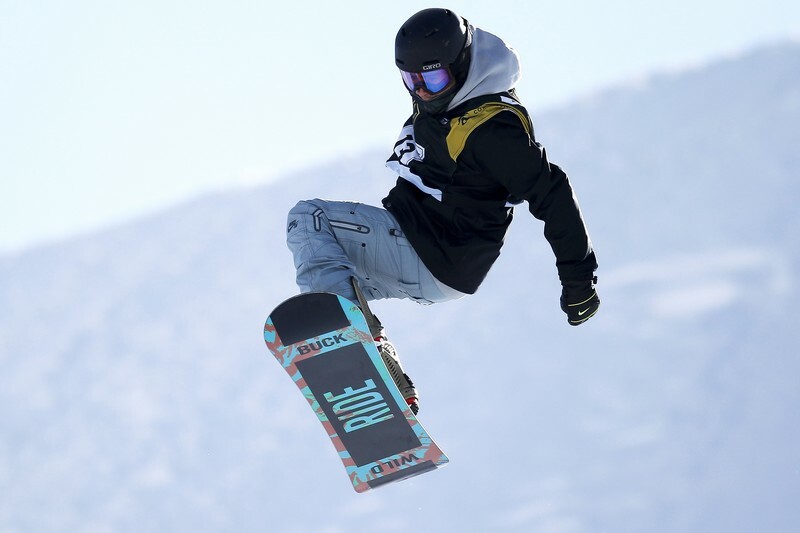 Saturday, Feb. 6 — Snowboard Halfpipe Finals — 12-1:30 p.m.